Georgie & Bradley: Bradley and I tied the knot at St Michael’s Church, with our reception held at the Tudor Grade I listed Chenies Manor, in the village of Chenies, Buckinghamshire. We always knew that we wanted a laid-back, relaxed reception setting in an English country garden setting with a ‘homey’, rustic feel with a bit of personality and therefore the Manor and its spectacular gardens was the perfect choice for us. Located just ten minutes from my family home and with St Michael’s located within its grounds, the beautiful venue offered us the relaxed vibe we were after through the use of the charming ‘Garden Room’ for our wedding breakfast, complete with exposed beams and brick-work, whilst the Manor House and its incredible gardens and brilliant blue skies on the day were the perfect backdrop to our welcome reception and wedding photography. Despite having a rough idea of what I was looking for, (and not looking for), I was really open minded when dress shopping and enjoyed trying on multiple shapes and cuts at the two local boutiques I visited with my Mum. I quickly established that I didn’t want to look and feel too ‘bridal’ and was drawn to vintage shapes and detailing. The Bride’s incredible curation of Jenny Packham gowns drew me in instantly and when I spotted the Apache’s embellished bell sleeves peeking out from the rail of beautiful gowns, I couldn’t wait to try it on. Featuring intricate floral, leaf and vine beading and embroidery and a simple silk skirt with puddle train, I didn’t want to take it off and couldn’t stop smiling. I finished my vintage inspired look with a bespoke Juliet Cap veil by Britten Weddings and grey velvet heeled sandals by Whistles. I wore diamond studs gifted to me from Bradley for my 25th birthday and later changed to Baroque drop studded pearl earrings by Celine when I’d removed my veil for my evening look. A lovingly restored family antique ring which Bradley gave to me as a gift on the morning of our wedding completed my look. After much hunting, Bradley and I found the perfect English flannel, vintage blue three-piece suit which we hired from Jack Bunneys in Barking, London. We finished his look with a grey flecked waistcoat by Next, blue and grey ditsy floral tie by Slaters and classic brown shoes by Kurt Geiger. We worked to a colour palette of shades of green, grey and soft blues through block colours and prints, with rustic and vintage inspired finishing touches. The ‘Garden Room’ reception space was dressed beautifully by our wonderful florist who brought elements of the award winning gardens into the space itself. An abundance of wild greenery, foliage and festoon lighting enhanced the rustic, relaxed space, whilst potted herbs in vintage hand thrown terracotta and zinc plant pots were dotted across the horseshoe trestle table layout, inspired by the nearby ‘kitchen garden’. Mis-matched cut glass tea light holders were scattered across exposed wooden trestle tables, finished with hand cut striped linen table runners. We provided ‘Please Bee Seated’ recycled seed packets from Wildflower Favours which doubled up as place settings and favours for our guests to take away. The packets contained British-grown wildflower seeds that bees love and are also perennials so will flower year after year. We designed all the stationery ourselves, working with a close friend, Lucie, who kindly hand painted the watercolour illustrations, featuring our favourite leaves, foliage and flowers that were included in our arrangements on the day. It was so special to have her involved in the creative process and we received so many compliments on our stationery. We painted and hand-wrote wooden signage made lovingly with the help of my Dad from wooden pallets and fixed them onto a vintage ladder to point our guests in the right direction. Working closely with Kerry from Foxgloves & Alice was great fun; she is so creative and full of such incredible ideas. Kerry really welcomed me into the planning and creative process, inviting my bridesmaid Tilly, my Mum and I on an inspiration trip to New Covent Garden Flower Market with her very early one December morning and to various brainstorms over a cup of tea at her studio. Kerry and her team created a wild, rustic, asymmetric foliage arch entrance to St Michael’s Church, whilst Silver Birch branches lined the aisle and framed our special moment so beautifully. Mixed herb pew ends completed our beautiful church arrangements. My bouquet was the most beautiful thing I’d seen and I couldn’t put it down all day! Loose and wild with neutral tones with a hint of blush, the bouquet comprised of Peonies, Garden Roses, Astillbe, Astrantia, Spray Roses, Ginster, Thistle, Seeded Eucalyptus, Asparagus Fern and scented herbs which smelt so amazing. My beautiful Bridesmaid, Tilly, carried a similar arrangement to me, full of texture and depth, whilst my sweet flower girls wore wax flower hair garlands and carried small posies. The boys wore lovely button holes featuring a mix of Thistle, Wax Flower, Astrantia and scented foliage and herbs finished with a grey velvet ribbon. Kerry cleverly transported the Silver Birch branches from the church to the garden room for the reception, dressing them with fairy lights and creating such a lovely backdrop to our top table. She finished the top table with a garland of scattered foliage. Opting away from the traditional centrepieces, two large foliage bombs suspended from the wooden beamed ceiling were the central focus of the room, with the wrought iron chandeliers also dressed in mixed foliage. The bar was dressed with an ambulant garland and foliage curtain tie backs finished off the room. We kept to a traditional ceremony format, with readings from our close friend that we met and lived with at Nottingham Trent University, Laura, and my brother, Patrick. Laura chose ‘The Alchemist’, whilst my brother selected the Song of Solomon for his bible reading. When he looked into her eyes, he learned the most important part of the language that all the world spoke — the language that everyone on earth was capable of understanding in their heart. It was love. Something older than humanity, more ancient than the desert. What the boy felt at that moment was that he was in the presence of the only woman in his life, and that, with no need for words, she recognized the same thing. Because when you know the language, it’s easy to understand that someone in the world awaits you, whether it’s in the middle of the desert or in some great city. And when two such people encounter each other, the past and the future become unimportant. Arise, my love, my beautiful one, and come away, for behold, the winter is past; the rain is over and gone. The flowers appear on the earth, the time of singing has come, and the voice of the turtledove is heard in our land. We stuck to traditional hymns and ceremony music, opting for The Beatles ‘Here Comes The Sun’ whilst we signed the register with the help of our Dads as witnesses. Our ceremony finished with our guests throwing hand-dried confetti, which was lovingly collected and dried by my parents and scented with Jo Malone’s ‘Red Rose’ fragrance, in the beautiful grounds surrounding the church before we headed off to our reception at the adjoining Chenies Manor. Wooden garden games kept our guests (young and old!) entertained throughout the day, whilst the maze also proved popular. Our curated laid back summer playlist provided the backdrop to our afternoon reception as guests enjoyed the beautiful gardens. Leicestershire based band Echo Drive provided an ‘unplugged’ acoustic-style set to mark the transition into the evening reception and got the party started with a more electric set later on that got everyone up onto the dancefloor. Our guests were treated to a selection of warm and cold canapés including beetroot gravlax on rye bread, arancini and courgette involtini, and later feasted on sharing antipasti boards to start and carved roast lamb at the table (complete with chefs hats and aprons!) complete with sharing dishes of dauphinoise potatoes and sautéed cabbage and lardons for the main event. The cake was lovingly made by our incredibly talented family friend, Lydia, with the help of my Mum as her Chief Washer-Upper! Flavours included Limoncello and raspberry with limoncello buttercream, elderflower gin and tonic with lime buttercream and toffee apple and caramel with vanilla buttercream dressed with semi-naked style icing and seasonal edible flowers. We displayed the cake on a beautiful antique silver cake stand. We served this as our dessert with fresh seasonal berries and creme fraiche and polished off the final tier the day after at an informal brunch party at my parents house. 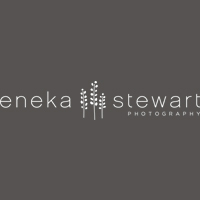 The lovely Eneka Stewart, along with her second photographer, Sam, captured our day perfectly. We met with Eneka at Chenies Manor a few months before the big day, discussing locations and the timeline for the day. Having photographed many weddings at St Michael’s and Chenies Manor before, we knew we were in safe hands and we are so pleased with her work. Molly Jane Lewis was our videographer for the day and was a total delight in the run-up and planning and the day itself. Both herself and Eneka were relaxed yet professional and understood that we wanted as much time as possible with our guests however we of course wanted them to capture the best content they could and make the most of the incredible weather and the crucial ‘golden hour’. Try not to put much pressure on yourself and convince yourself that you must DIY every single detail for your day – Bradley and I both have very busy jobs and lives outside of work and simply didn’t have the time or energy to be crafting every evening / free weekend, and I’m sure it made the run up to the day much less stressful. Don’t be afraid to ask for help; friends, family and even neighbours will want to be involved and will offer help where they can, so do take them up on it. Our parents were such a great support – from storage of alcohol, confetti petal drying, venue visits and drop offs, herb planting, signage painting, confetti cone creating – the list goes on! It is fun to get everyone involved as they just want to help make your day perfect. Enjoy the day – I was so worried that I would be preoccupied with how the day was running, if we were sticking to the timeline, checking that everyone was happy; but I was honestly the most relaxed I’d been in the whole planning process and really enjoyed every second of the day. Having everyone we love in one room with enormous smiles on their faces was such an incredible feeling that we will never forget; it really was the most perfect day. The cake looks amazing. The brides dress was beautiful and elegant. The two little flower girls were cute.